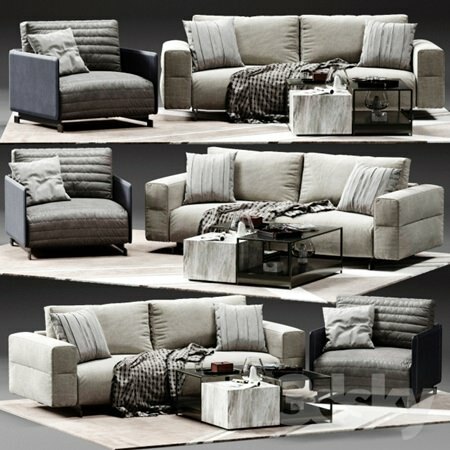 Sofa Ditre Italia BAG 260 x 105 x 93 cm Armchair Ditre Italia BAG 100 x 102 x 93 cm The model contains the HairAndFur modifier. For correct display in the menu Rendering – Environmen … on the Effects tab, select Hair and Fur and in the Hairs column select mr prim. The folds are made by the Displace modifier. In the archive: * .max 2011 with materials for Vray 3.0; * .max 2011 with materials for Vray 1.5; * .FBX; *. Textures.